Coming to a Toyota store near you, the new RAV4! For those still struggling with their Christmas list, we would point out that the 2019 Toyota RAV4 is arriving in dealerships just in time for Christmas. With or without a bow, this new RAV4 would make anyone’s Christmas one to remember. Already the best-selling vehicle in its class and the top-selling Toyota in the US, it is hard to imagine it has gotten even better. But it has – offering more power, capability, features and options at an affordable price for young singles, couples and families. 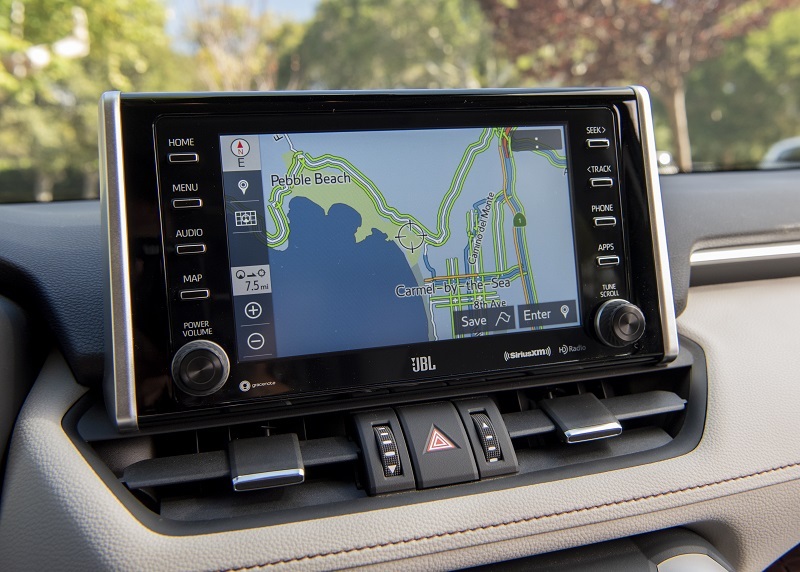 We can point to a long list of specifics we found to love about a 2019 Toyota RAV4 during its launch at Carmel, CA this past month – including many new or upgraded features both standard or available. 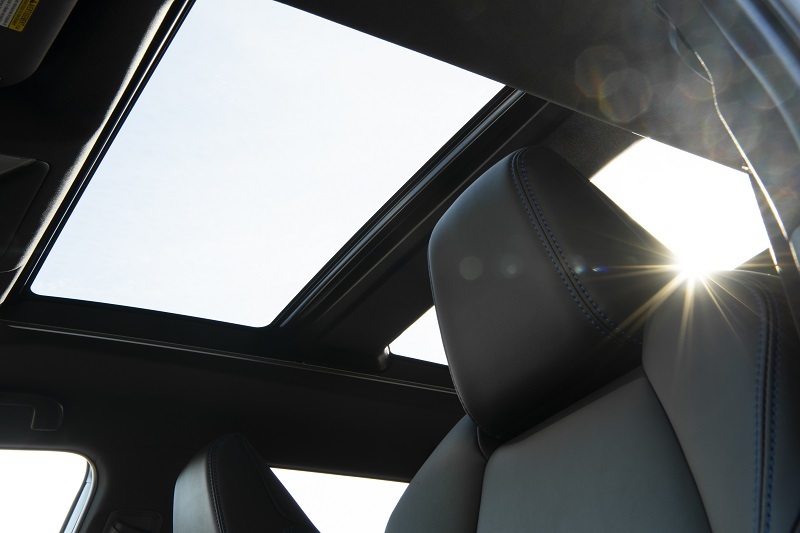 Some of them include bolder exterior design elements, new colors, Power Liftgate with hands-free option, a novel new Digital Rearview Mirror, new interior material surfaces and textures, more supportive seating, two-zone heated front seats, ventilated front seating, side-by-side cupholders, Qi Wireless Charger, indirect Blue LED interior lighting, rear AC vents and 17-, 18- or 19-inch wheels – listing just a few. 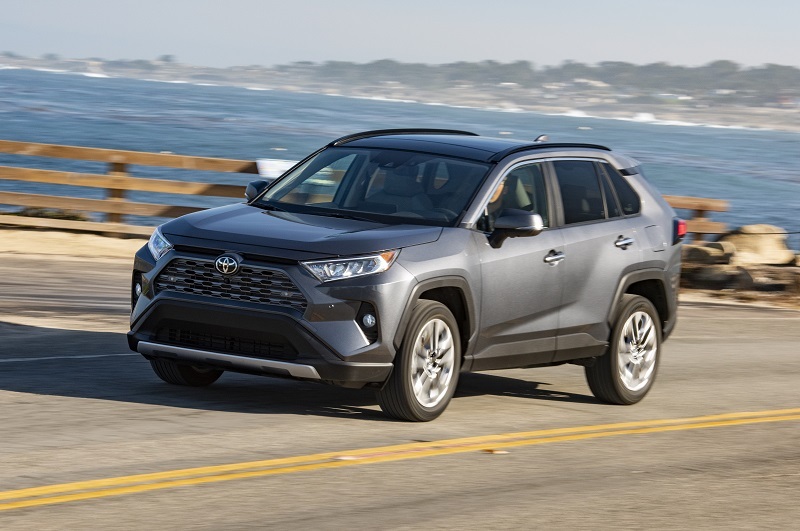 Taking a macro view of our launch drive, we have singled out five areas of significant improvement that are sure to keep the RAV4 leading the small SUV segment and continuing to be the best-selling Toyota in the US. 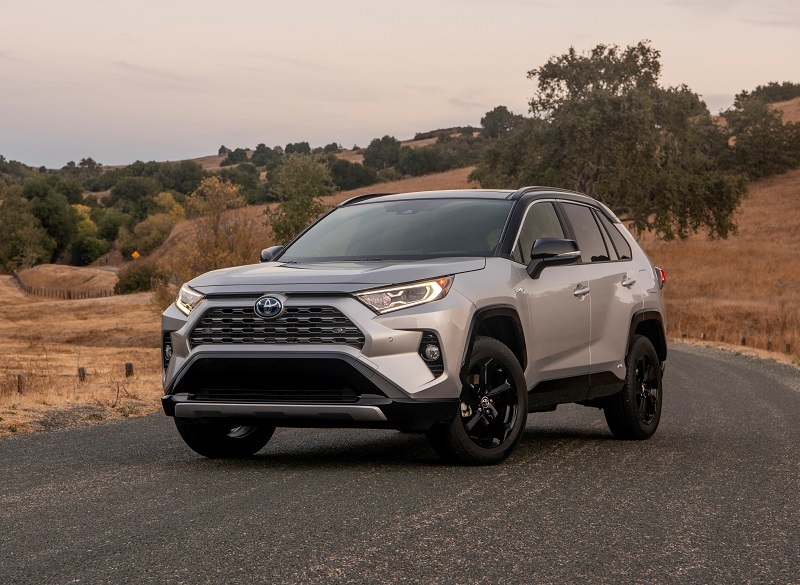 Powering all 2019 RAV4’s is a new 15-percent more powerful Dynamic Force 2.5L four-cylinder engine now producing 203 horsepower with 184 lb.-ft of torque. Replacing the 6-speed transmission is a new 8-speed Direct Shift-Shift Electronically Controlled Automatic with Snow Mode to deliver the increased power to FWD or available AWD configurations. 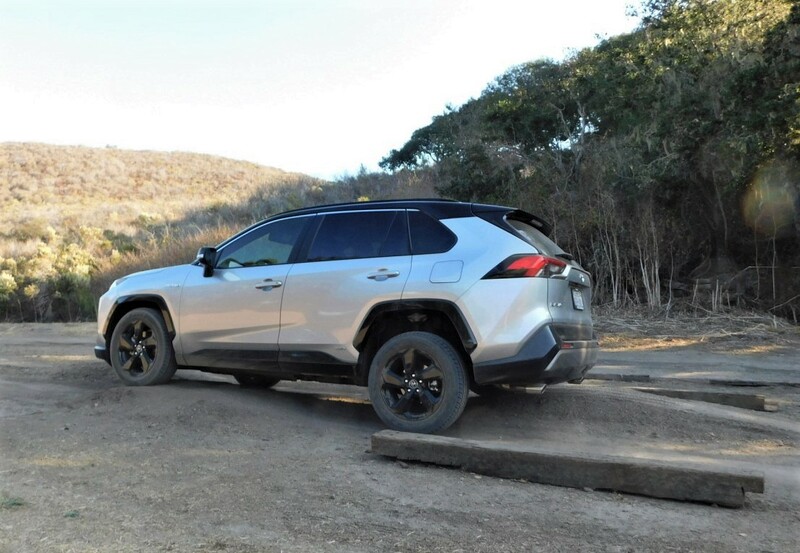 From our too-short short launch drive experience, we can tell you the additional horsepower, combined with the 8-speed, makes the 2019 RAV4 perform significantly better on the highway and, surprisingly, also off-road. And yes, fuel economy is also improved – to an estimated 27/34 mpg city/highway and 29 mpg combined. 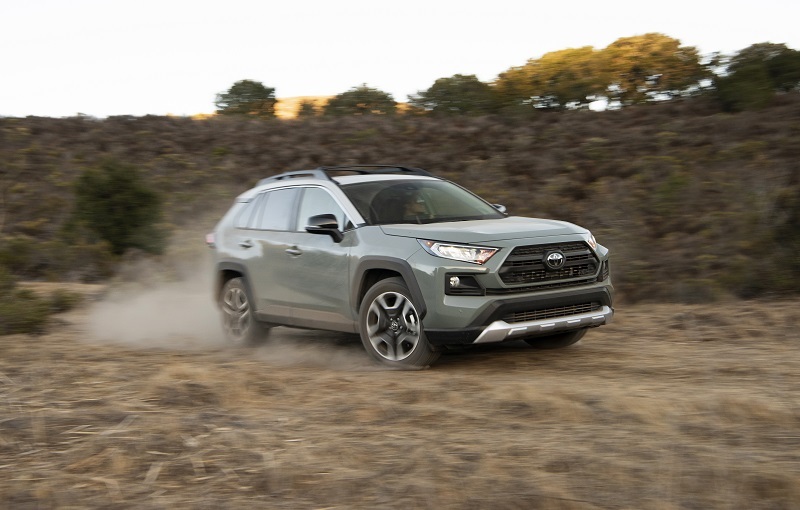 A new Dynamic Torque Vectoring AWD with Rear Drive Line Disconnect delivers targeted traction for surefooted off-roading while also delivering improved fuel economy. The on-demand system can deliver up to 50 percent of torque to the rear wheels with independent control left or right for directed traction. Both features are both a segment and a Toyota first. The RAV4 AWD is also equipped with Multi-Terrain Select that further maximizes traction in mud, sand, rocks, dirt and snow. Additionally, the Hill Start Assist, Down Hill Assist and Trailer Sway Control features assist the driver in controlling the vehicle in challenging conditions. 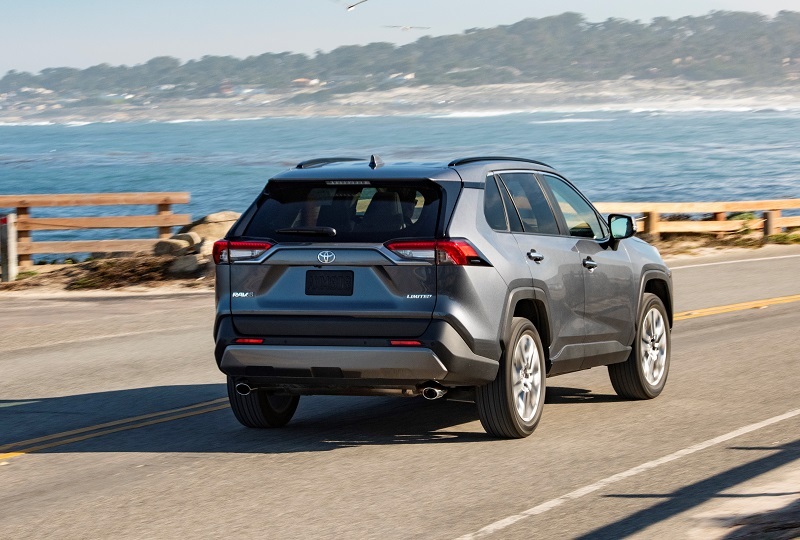 Up to five and their gear are a snap in the new 2019 RAV4. A revised cabin layout adds more head and shoulder room front and rear. 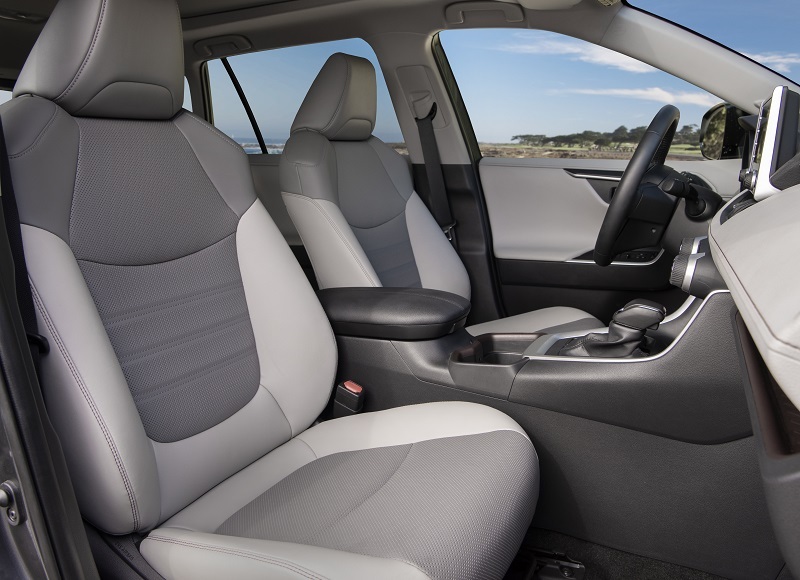 With a dual height level cargo bay that is 2.5-inches longer, RAV4 now has over 37 cubic feet of cargo space behind the second-row seats. 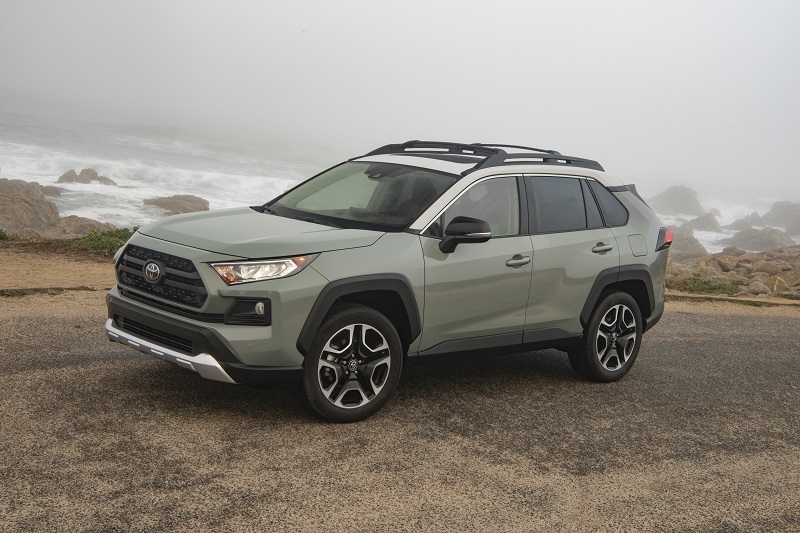 Payload capacity for RAV4 is now up to 1,240 pounds. And, if that is not enough, all grades are tow-rated to 1,500 pounds with Adventure grade hauling up to 3,500 pounds. 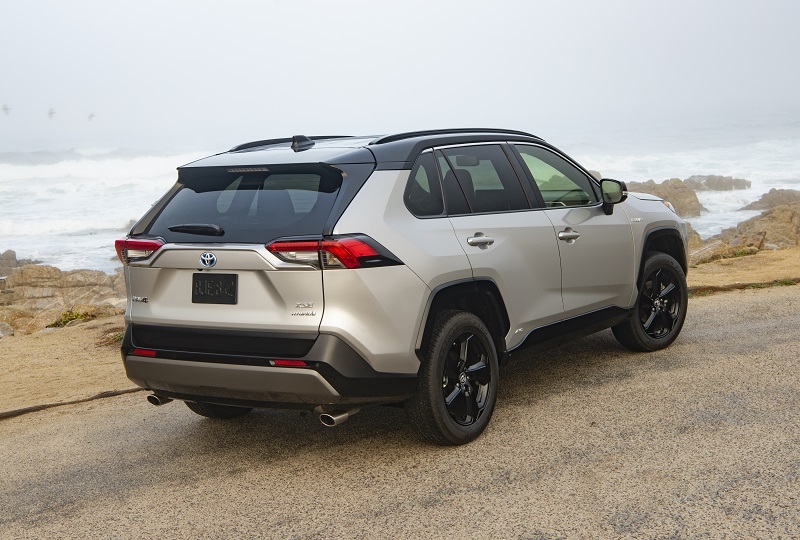 Go ahead, count them – there are four hybrid grade levels available on RAV4 for 2019. They range from the basic LE (MSRP $27,700) to the very well equipped and trimmed out Limited (MSRP $35,700). 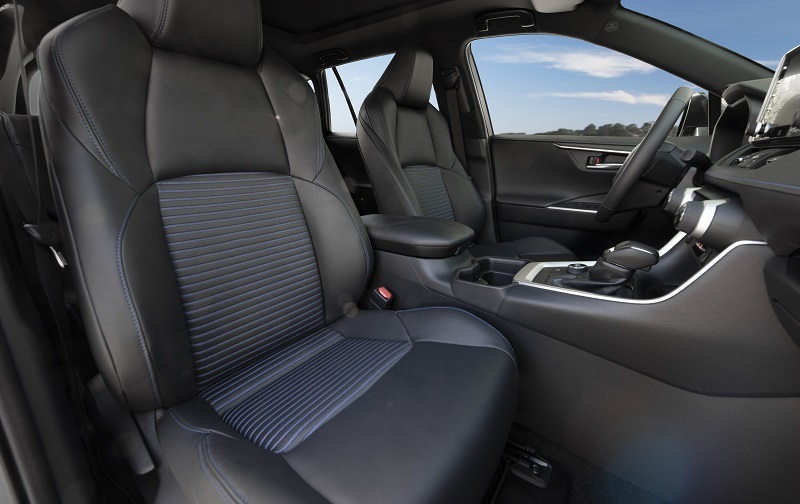 All are powered by a combination of 2.5L four-cylinder Atkinson cycle gasoline engine teamed with the Toyota Hybrid System II with front and rear electric motors and mated to an electronically controlled Continuously Variable Transmission ECVT. The hybrid power plant delivers a combined 219 horsepower (sixteen more than the gasoline models). Fuel economy is estimated at 41/37 mpg city/highway and 39 mpg combined. 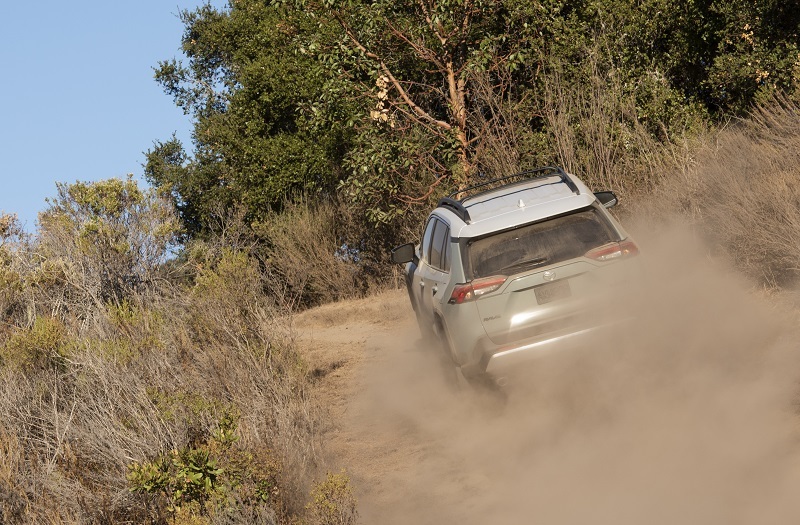 The new AWD system on the RAV4 hybrid uses the rear electric motor-generator to power the rear wheels as needed on or off road. With 30 percent more torque than earlier versions and a driver-selectable Trail Mode, torque can be directed to the rear wheel with traction off-road. Our pick of the hybrid grades is the sportily styled and equipped for performance – RAV4 XSE HV. It features bold Piano-Black accents across the front, mirror caps, fender arches and lower rockers. Running on 18-inch black-painted five-spoke alloy wheels and mounted with 225/60R18 all-season tires, its already ample 8.1-inch ground clearance looks much higher. On the road (or off-road), its sport-tuned suspension with tauter spring and shock absorbers deliver an ‘edge’ to the driving experience. Other sporty features include projector-beam LED headlamps, LED daytime running lamps and a standard two-tone paint scheme with black roof. 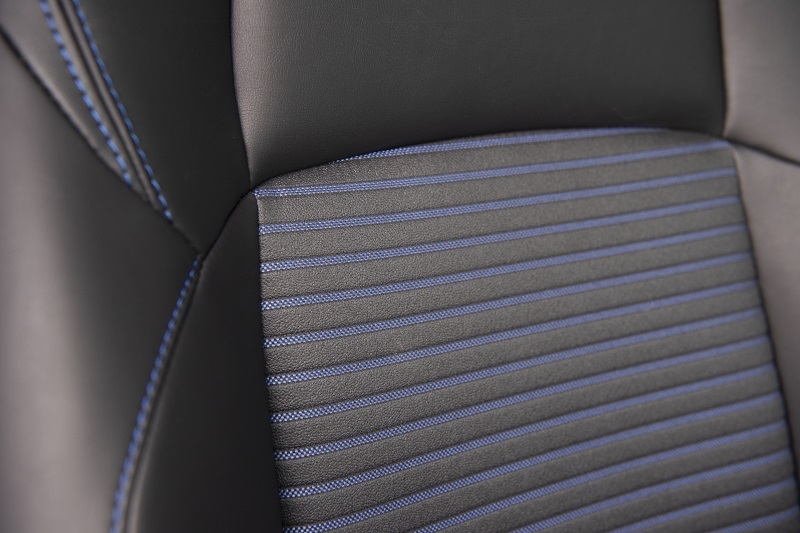 Its interior is exclusively mono-spec with black SofTex material trim and blue accents. 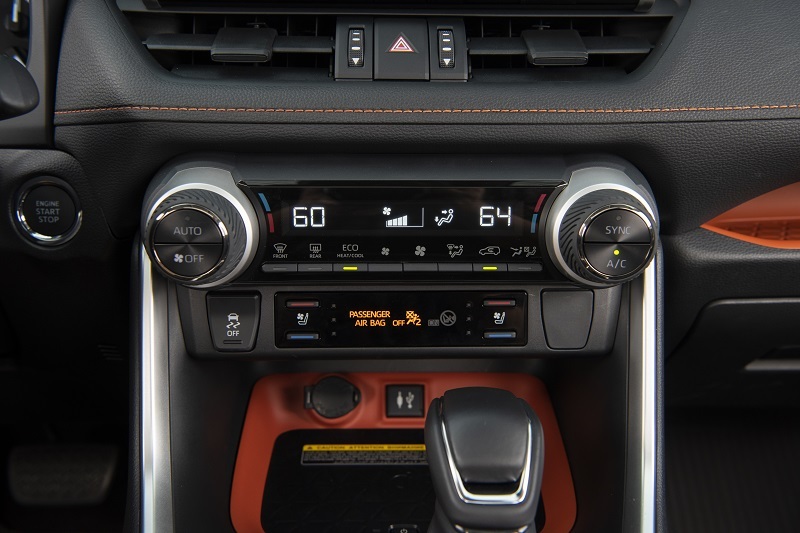 All 2019 RAV4s have the 6-speaker Entune Audio system with 7-inch touchscreens standard. Depending on grade, some are equipped with Entune 3.0 Audio Plus and 8-inch touchscreen or the Entune 3.0 Premium Audio with Dynamic Navigation and 8-inch screen. 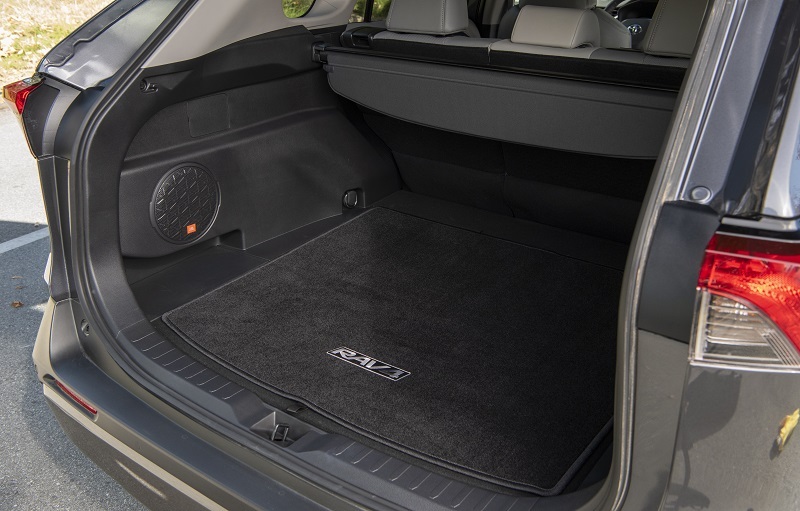 For sound aficionados, the awesome 11-speaker and 800-watt JBL with Clari-Fi Premium Audio is optional on RAV4’s equipped with Audio Plus and Audio with Navigation systems. 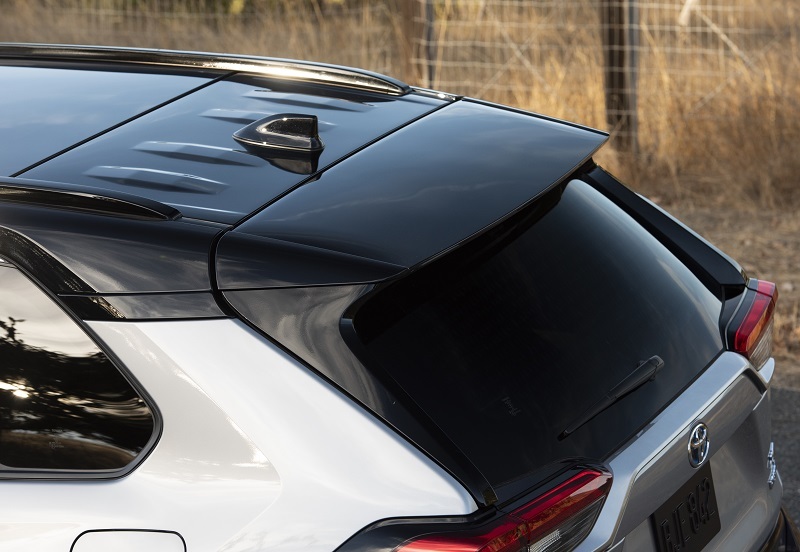 If tunes and sounds are your thing, Toyota and JBL got this really right in the new 2019 RAV4. 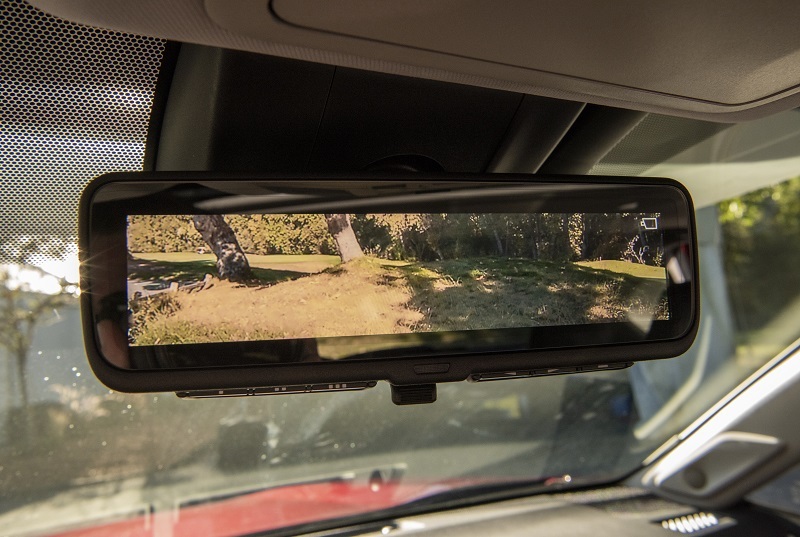 Other standard or available tech and media features of note include Amazon Alexa, Google Assistant, Apple CarPlay, Siri Eyes Free, Wi-Fi connectivity, USB Media Port and (up to) four charging ports, both 12V and 120V power ports, Bird’s Eye View Camera with Perimeter Scan and more. 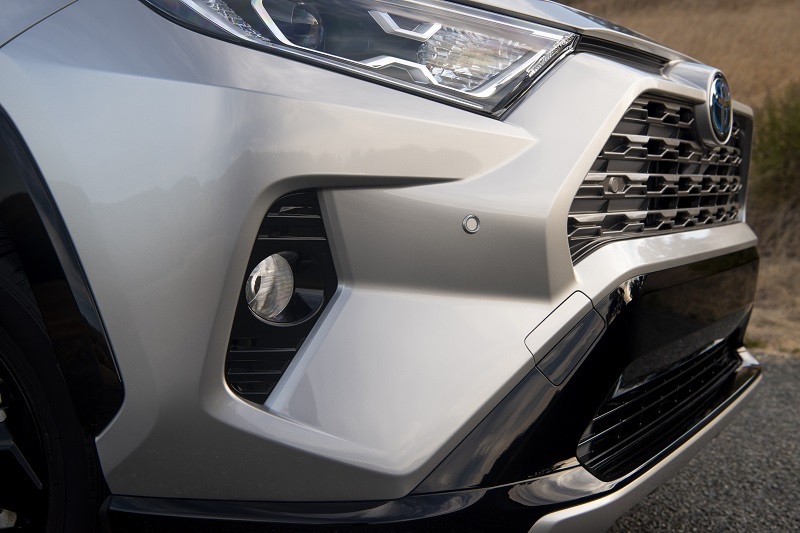 The RAV4 hybrid will not be available until late March 2019. 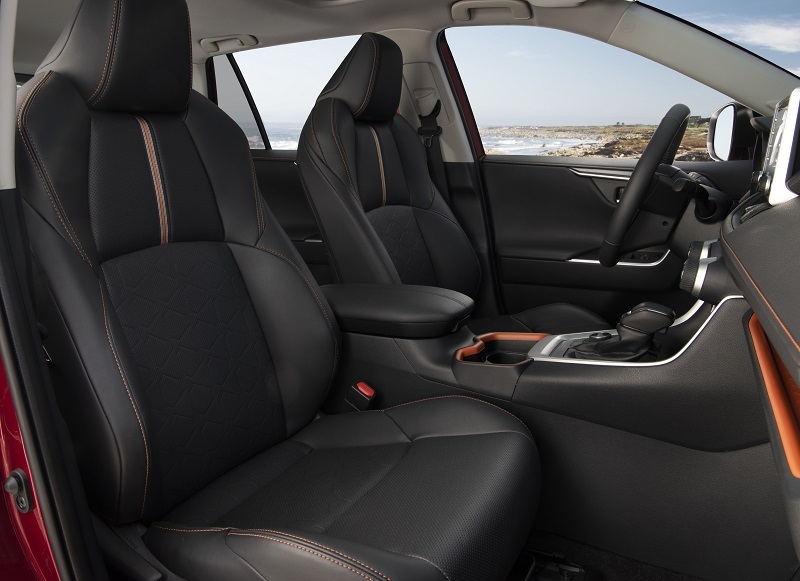 It comes in four grade levels (L, XLE, XSE and Limited) starting at MSRP $27,700 for the LE. All hybrid grades are AWD only.